Choctaw is the oldest town in Oklahoma (chartered in 1893). Choctaw is truly ``A Great Place To Live`` providing rural comforts for its growing community. 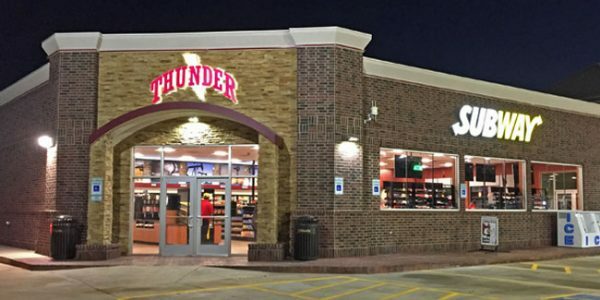 Before becoming Thunder Travel Plaza, the Choctaw location had been a truck stop home for the past 40 years (formerly Ed's Truck Stop, then Goose's Truck Stop, and more recently Anderson Travel Plaza). Anderson Travel Plaza was blown away by the May 2010 and completely rebuilt from ground up to be a beautiful facility as it currently stands. We opened doors in June 2012 and were immediately embraced by the community as a forward looking, customer friendly location that strives on good old southern hospitality with modern amenities in a neat, clean and user friendly environment. Choctaw is about 20 minutes east of Oklahoma City, 15 minutes east of Tinker Air Force Base, and 15 minutes north of Lake Thunderbird. We take pride in welcoming all our guests and hope they have a great experience, bidding them safe travels! Enid, Oklahoma was originally named in 1889 after a character in Lord Tennyson's poem, Idylls of the King. The more modern tale of how the town got its name is that early Enid pioneers took a ``DINE`` sign from a competing chuck wagon chef, and spelled it backwards. Enid is also known as the ``Wheat Capital`` of the United States. Thunder Travel Plaza, Enid is not only a state of the art facility completely rebuilt from the ground up, offering conveniences of a new travel plaza but also strives in being part of the community and is a handy stop for travelers and locals alike. We are proud to says, that this facility also stands on simple principles of welcoming all our customers and stays true to its southern hospitality roots. Thunder Travel Plaza, Enid is about 14 minutes east of the Vance Air Force Base, and 6 minutes north of the Woodring Airport. 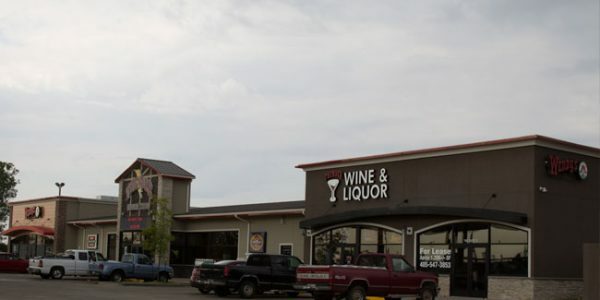 Thunder Travel Plaza locations are clean, well-maintained travel stops with state of the art fueling and shopping services for your convenience. Pull in, stretch your feet, fill up your tank and feed your hunger at a Thunder Travel Plaza today!